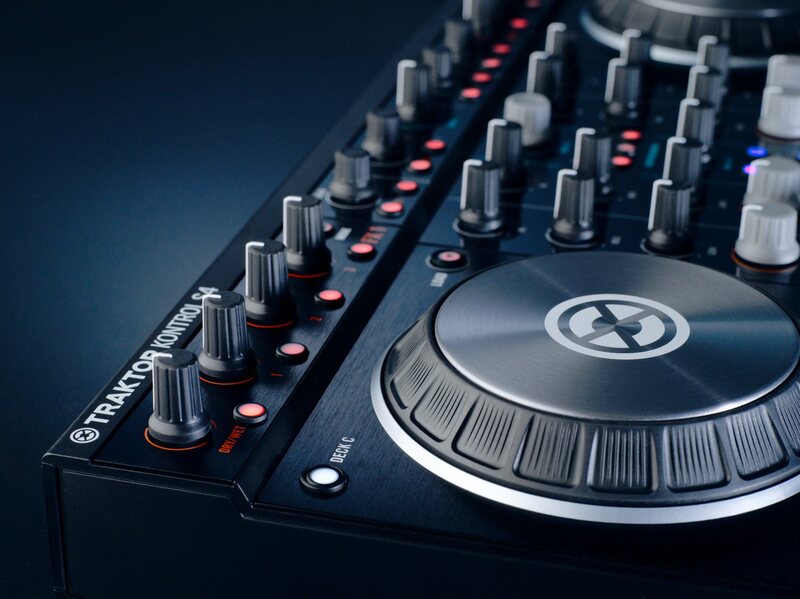 That’s one small step for DJ hardware, one giant leap into the post-PC era. 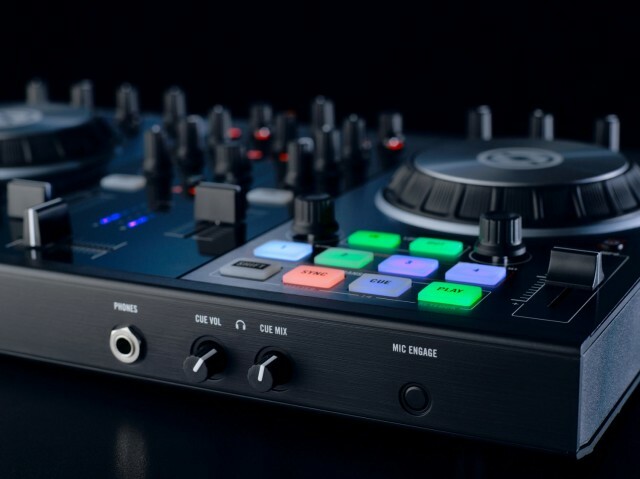 Native Instruments today has updated their integrated hardware for Traktor DJs, the 4-channel Traktor Kontrol S4 and 2-channel Traktor Kontrol S2. 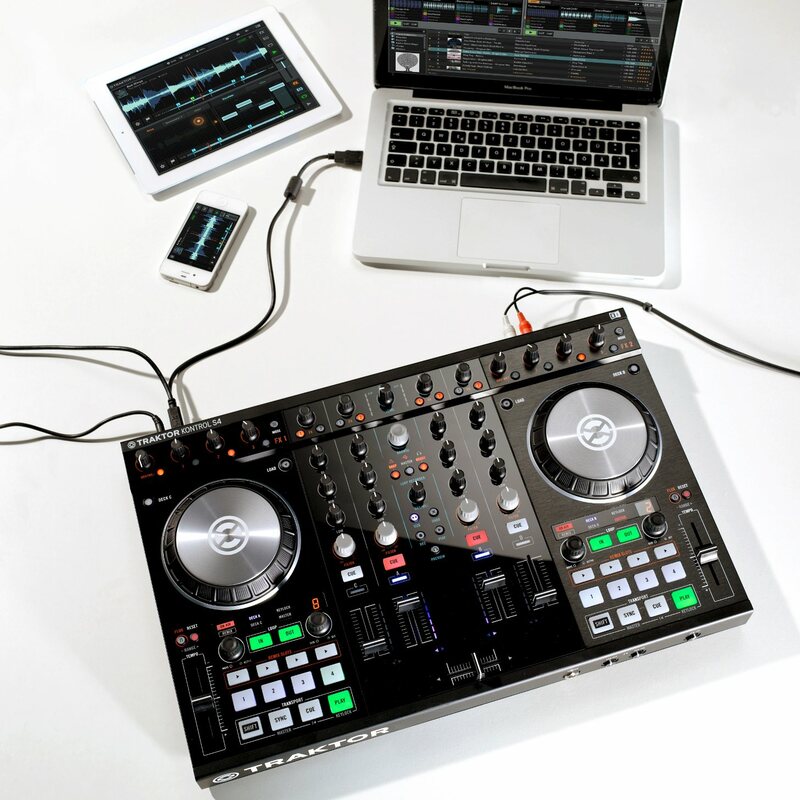 But while the updates are nice, the biggest transformation is that you can watch a DJ working with these controllers alongside either an iPad or a Mac/PC laptop – and it really doesn’t matter which they’re using. Oh, sure, the laptop is more flexible when it comes to storage, and NI’s iOS software still lags on some of the nice features of the desktop version, like added effects. But, if anything, the iPad is starting to look like it could someday have the edge. It’s smaller, it’s more focused on the task at hand, and its touchscreen excels at manipulating digital waveforms of the music being played. It’s both screen and interface in a way no other hardware or computer can be. 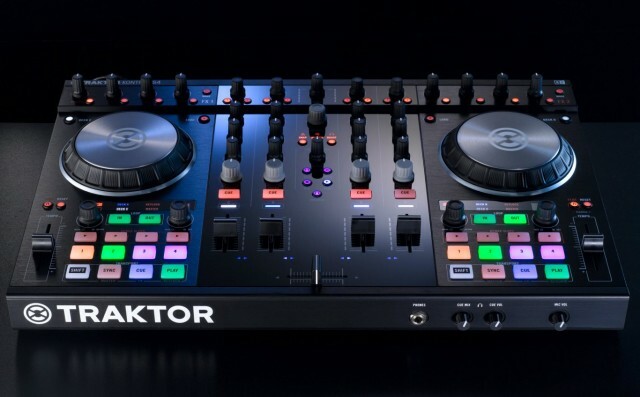 In fact, the one show-stopping problem I have with Traktor DJ on the iPad – the fact that it’s too easy to accidentally switch off a deck with your finger – is resolved by having dedicated hardware. US$799 / 799 € buys you the S4; $499 / 499 € the S2. But – let me say this again – the big news here is that this could well be the announcement when it was clear that iPads and perhaps other tablets would be on equal footing with laptops. The Kontrol S4. iOS/PC interchangeability is the big news story here, but updated hardware is both sleeker and more usable. The two-channel S2, viewed from the integrated audio interface cue jack. All images courtesy Native Instruments. The “high-resolution” platters and new aluminum build are a big part of the story here. We’re keen to try them – and even try mapping them to other software. Music technology is built as tools for humans, so it really only becomes interesting (or not) once you put a person behind this hardware. And NI chose well – Mad Zach. This talented musician and contributor to DJ TechTools does turn digital DJing into an instrumental skill. He’s a justification for the term “controllerist” if ever there was one. If you’re in Berlin, you can catch him on the 27th of September at a stupidly-affordable 3-hour workshop. I wish I could be there; I’ll be in Hamburg for Reepberbahn Festival, but I hope someone takes good notes for the rest of us. And for anyone who routinely complains at this site for focusing on vendors, that’s not what his workshop is about – it’s about developing your musical chops, not any one product.